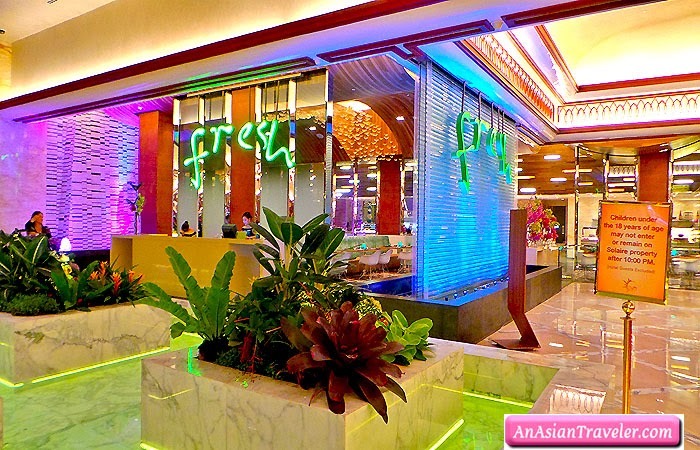 Complimentary buffet breakfast was served at Fresh located on the ground floor. 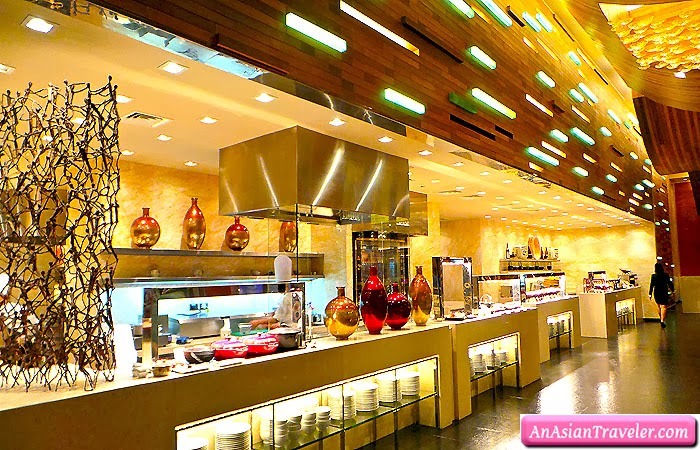 It's an international buffet style restaurant featuring Japanese, Korean, Filipino, Chinese and Continental dishes. The buffet area was well presented. The food wasn't amazing but not bad either. It was just satisfying enough to fill our stomach. Anyway, it was compensated having breakfast with a billionaire. Well, it sure seems like. :) Goodness, Solaire's owner tycoon Enrique Razon Jr. was also having his breakfast just two tables away from us. 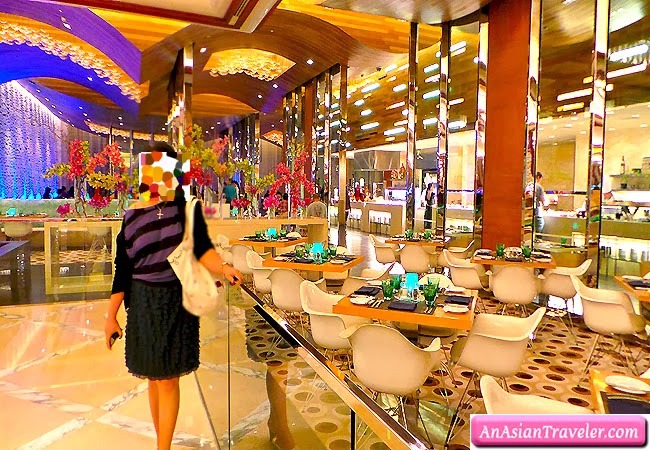 Our dining experience at Solaire particularly Lucky Noodles, Food Court and Fresh were not actually spectacular. It was just okay. Maybe we just didn't find something that will hit the spot. 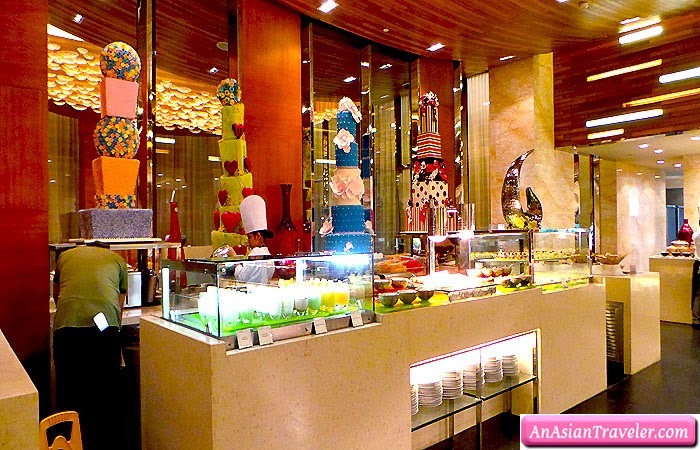 I would give Solaire another chance to try other restaurants and some of their dishes. Besides the place itself offers a level of luxury. Every corner is visually appealing. The casino is bright and lively. Additionally, complimentary bottled water is available in the area. But most of all our spacious grand deluxe room was gorgeous and we love to stay here again. 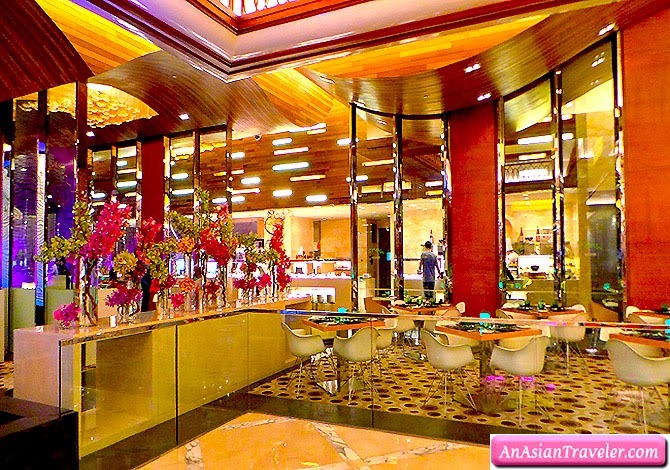 Overall, Solaire Resort and Casino is well worth checking out. It is located in the Entertainment City complex along the Bay City area of Paranaque City, Philippines. This place is actually close to SM Mall of Asia. So, that's it lovely peeps. My blogging about Solaire Resort and Casino ends here.